If you like traveling in Europe, you certainly won’t find anything better than Prague. The beautiful city with hundreds of years of cultural heritage, a cosmopolitan atmosphere and plenty of options for the party goers as well as the quiet types- there is nothing you can miss while in the most beautiful destination of the Czechs. If you want to spend a beautiful and memorable evening in Prague, follow our small guide and learn about things you can do. If you have refined tastes or love performing arts, spending an evening watching a performance at the Czech National Theatre could be a good way to enjoy Prague’s culture. There are several young artists you will find at the Old Town Square, but nothing beats the charm of the theatre performances. The most beautiful, impressive, and renowned stage in Prague, you will find drama, ballet and even opera performances here. You could also get to see the State Opera, The Estates Theatre and also the New Stage, each of which features several unique artists and their works. If you love music, don’t miss out on Jazz and Blues performances in Old Town Square and surrounding areas. There is even a 1,000-year-old underground tunnel that hosts several cool bands. If you though Bon Jovi singing ‘It’s my life’ music video could have been a cool experience, this tunnel is for you. Some music venues could also provide you dinner, snacks, and drinks as well. For concerts, check out the schedule of Palac Akropolis. Like every other European city with a colorful history, Prague too has some haunted spaces. The Church of Saint James The Greater is one of the located right in Old Town. The scariest part of this baroque church is a mummified arm dangling by a meat hook. Yes! It is a real arm which was mummified 400-years-ago. According to a legend, the arm belongs to a thief who tried to steal the church’s jewels. That’s quite gory for a place of worship if you ask us. Also, the church is the site where Count Vrastislav was buried alive accidentally. Known as the Eiffel Towel of Prague, this 60-meter-tall towel sits atop a hill and provides you scenic views of the city. The surrounding area is covered with parks which makes the panorama even more attractive. Come here in the evening to realize how beautiful the world looks from a bird’s eye point of view. Go around the gardens, enjoy an evening without any loud noises and grab a bite while walking. It is a wonderful experience. 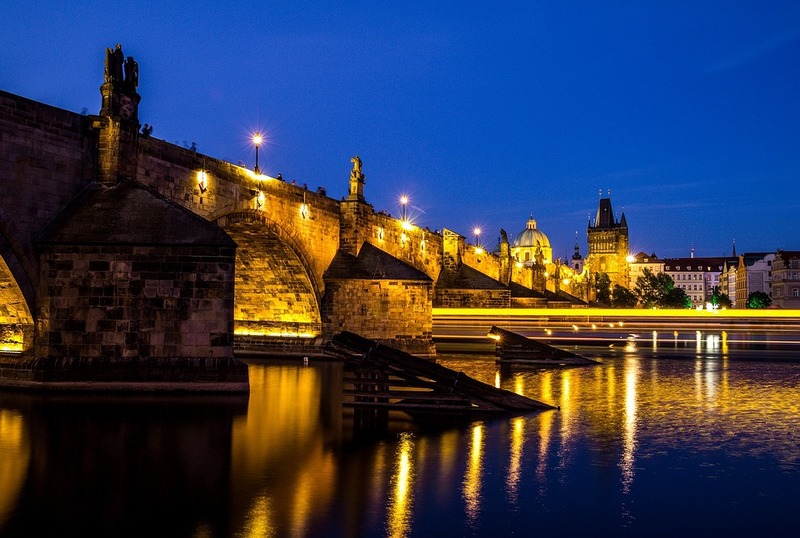 Prague nightlife can also help you get the most amazing pub crawls in its Irish bars and pubs serving classy craft brews. You can also go around the Charles Bridge on Vltava Bank. The river appears calm and ecstatic from the bridge. End your tour here and just soak up the beauty of the night as much as you can.